Every year, between six and eight million dogs and cats enter U.S. shelters; some three to four million of these animals are euthanized because there are not enough homes for them. Pet overpopulation is not just a problem for the animals or for the shelters involved. Each year communities are forced to spend millions of taxpayer dollars trying to cope with the consequences of this surplus of pets. These public costs include services such as investigating animal cruelty, humanely capturing stray animals, and sheltering lost and homeless animals. Pet owners can do their part by having their companion animals spayed or neutered. This is the single most important step you can take. Have your pet sterilized so that he or she does not contribute to the pet overpopulation problem, and adopt your next pet from an animal shelter. 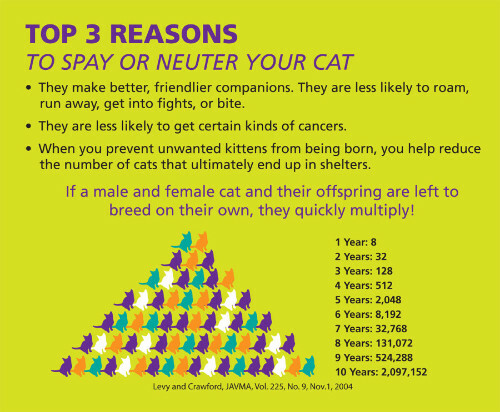 For information on the Caldwell County Humane Society spay/neuter program click here. 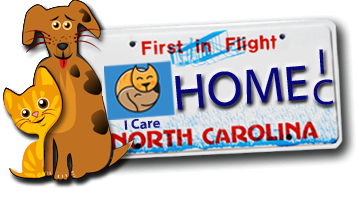 The North Carolina Spay/Neuter Program is a statewide program to foster the spaying and neutering of cats and dogs for the purpose of reducing the population of unwanted animals in the State. Caldwell County participates in the Spay/Neuter Assistance Program (I Care) where limited funds are available to reimburse eligible counties and cities for direct costs of spay/neuter surgeries for cats and dogs of low-income persons. Contact the Caldwell Humane Society for more information (828)499-0289 or caldwell4pets@gmail.com.